Many kids these days are hooked on technology, making them spend more time with their gadgets and gizmos than enjoying the great outdoors. However, screen time and green time don’t have to be mutually exclusive. We’ve selected some great gadgets for both parents as well as for kids to enjoy your fun-packed activity holiday whilst making the best use of technology. When your family is absorbed in the fun of hiking, mountain biking or skiing, chances are you lose sight of one another. Of course, you can just give your kids a phone call when they are out of sight, but what happens when there is no service? A two-way communication device, such as the lightweight Pair Freetalker wristwatch walkie talkie, can be the difference between panic and reassurance. With 6km of range, it is easy to stay connected. As a bonus, they are also a lot of fun for your kids to play with, without having the fear of losing or damaging an expensive smartphone. 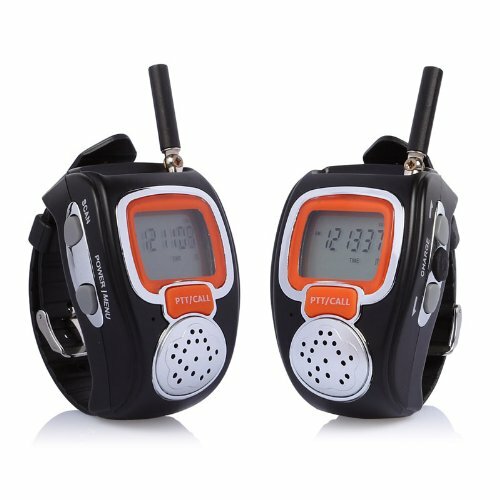 When your kids are too young to use a two-way radio, you can make use of a toddler tracking device, such as the eZoom. 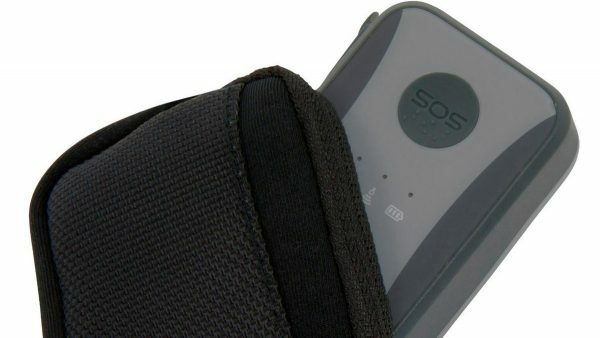 The lightweight device can easily be placed into your child’s backpack, allowing you to keep track of their location or even create “safe” zones that will alert you if the device leaves these areas. The eZoom can also be used to keep tabs on personal belongings as well. Children often love taking photos, but parents understandably don’t always love loaning them their expensive cameras. 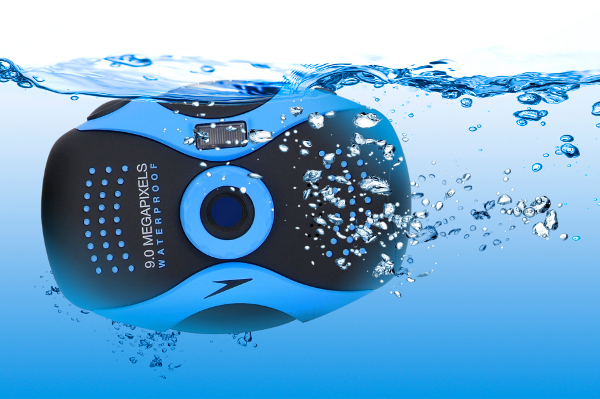 Instead of buying them just a toy camera, why not let them try their hand at photography with a full-option digital camera that is durable enough to handle tough drops, such as the Speedo Aquashot. Its bright colours and inexpensive price tag will definitely make the whole family smile. 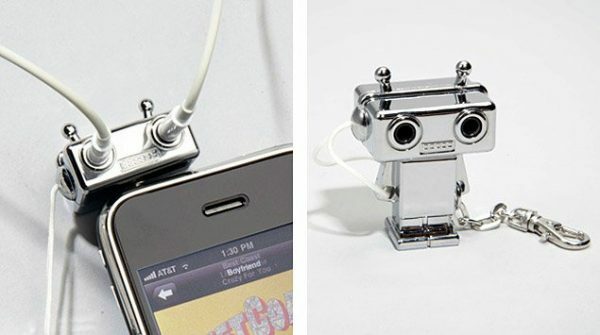 Keep two children entertained at once with this cute and cheap Robot Headphone Splitter. This little silver guy can be plugged into any standard headphone jack and two headphones can be plugged into his eyes, allowing your children to enjoy their films, games or music without disturbing the people around them. Highly recommended to use on the car trips to and from your holiday! You can find any kind of family activity holidays nowadays, but none of them will have power sockets when you’re half-way through hiking or biking the great outdoors. At one point or another, your gadgets are going to run out of juice. Most probably at a time there is no power outlet in sight, when you don’t quite know where you are and your kids are getting tired. But, have no fear! When you’re hiking, take a look at SolePower. It’s a charger for all your devices powered by you, or…your kids! SolePower is a power generating shoe insole that will fit inside any hiking shoe or boot and captures the energy from the motion of your steps. It can charge all your portable electronic devices such as smartphones, music players, or GPS devices. 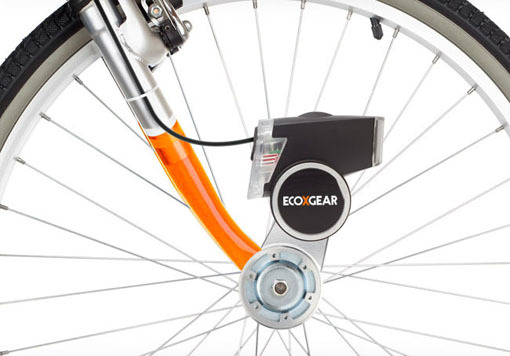 When biking, the Ecoxpower recharges your devices while you peddle. Once your speed reaches 3 mph, the charging system will begin to power any standard portable USB device. What is more, the Ecoxpower will not only charge your devices, but it will also light your way via the integrated front and rear facing lights. When you are planning your next family adventure holiday, have a look at these cool gadgets to get your kids involved, to keep them safe or simply to keep them entertained, while the whole family is immersing themselves in the beauty of Mother Nature. You can get the best of both worlds!